In recent years, many firms have sped up their innovation processes, seeking to set-up a rapid innovation model. 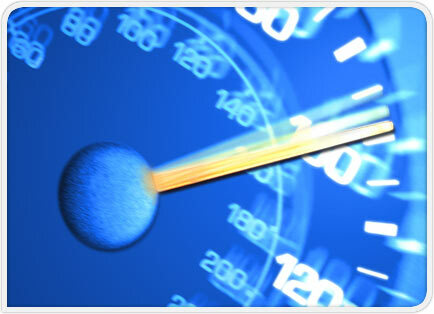 But can we protect the meaning and relevance of innovation while accelerating and increasing its impact? This is exactly the issue challenged by component innovation. One might be greatly tempted to rely on models. A review of the most innovating firms offers many examples. Of course, as noted ironically by Gary Hamel, the innovation leaders unfortunately tend to disappear from the top 10 from one year to another. And another question can be raised: can these models be replicated? Let us take the example of Apple, one of the firms most regularly referred to in recent years. Not without reasons: the implementation of an ecosystem which unites a terminal with services and contents, the search for meaning, at the crossroads of technologies, customs and culture, relying on a strong design and on intensive marketing (conceived as an investment and not as a cost), a strategic management of its supply chain to keep a step ahead in assembling technologies – all of these reasons are examples that can serve as guidelines. And yet, the company’s CEO also plays a great role. Steve Jobs’ idea was to keep a limited portfolio of innovations, a bold and remarkably courageous strategy; difficult to imitate, as the common sense tends to aim at more diversified portfolios to share risks. The problem raised by Apple is the basically: how to imitate talent? Many frogs have aspired to become an ox: they soon burst… If innovation is a search for identity, singularity is an inspiration but not a model of innovation: “become the innovator that you are”, as Nietzsche would put it! Keeping all these difficulties in mind, a new innovation model can be designed, with features taken from different firms and different contexts. 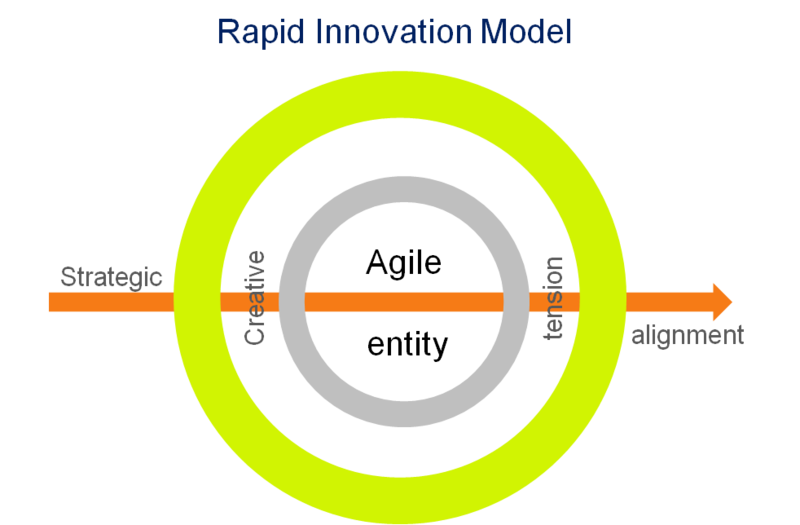 This model aims rapid innovation by relying on the autonomy and agility of entities dedicated to “creative tension”. The concept of agile and autonomous entities is easily understandable. That of “creative tension” is less obvious and still, just as essential. It gives to the innovation team a focus, an ambitious goal: in a word, it leads the team to build a belief. Should we give up on rapid innovation? 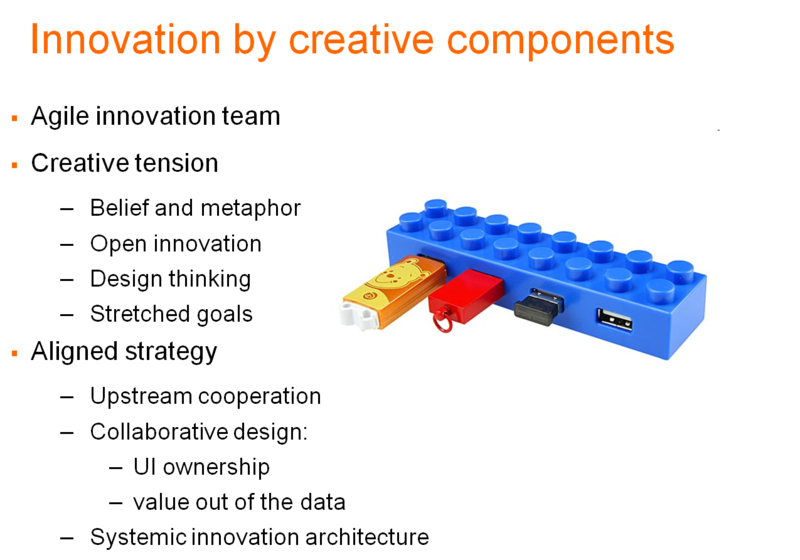 A well-documented approach offers a possible evolution: modular innovation, described by K.B. Baldwin and C.Y. 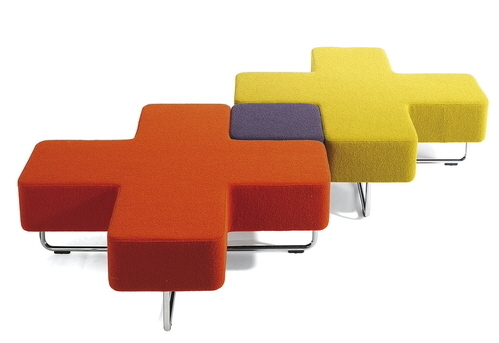 Clark at the beginning of the 2000s under the name modular design. This approach consists in breaking complex projects into separate modules that have as little dependence as possible and with precise interfaces: this independence helps improve a module by changing it for another or dividing it, with no impact on the rest of modules. The substitution and division of innovating modules are vectors of value, as shown by Baldwin and Clark. Parallel Implementations. 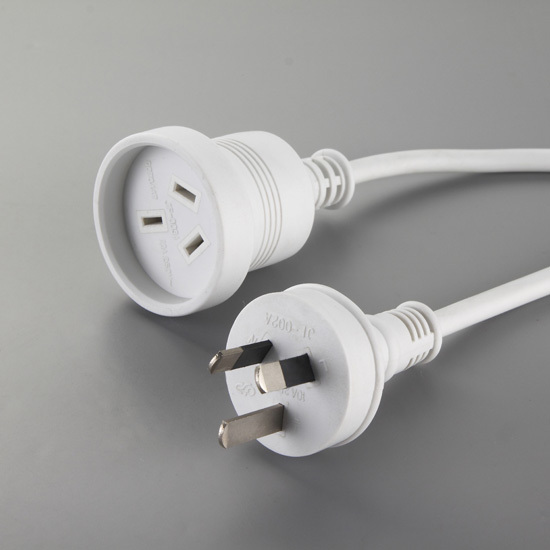 The component function can become a hub easily and receive simultaneous connections from different applications. Crossfunctional Evolution. The needs of the different applications are mutualized in order to enrich the functions of the component that are available to all: it’s a virtuous circle of innovation, the progress of any member benefitting to all. The social component that started from the TV has extended to movie contents (Ciné Day), video on demand, sports competitions such as Roland-Garros or UEFA and it has completed some quantitative measures (buzz, tendencies) by an analysis of feelings and a cloud of key-words. The component approach of Social TV has been duplicated to a Social Culture component and a Personal Video component. This belief would then have consequences on technology, customs in the specific field, possibilities opened by observation. We had to question the long-term permanence of an emerging trend, but also our positioning, the meaning of our innovation, the service provided to the consumer. Focusing on the component would force us to raise other questions: its functional identity, first of all, by working on the metaphor through which we could name it (in the case of Social TV, that of a ‘filter’; but also the whole perimeter of functions and the focus of the component on some contents. Overall the API conception approach we followed borrowed significantly to the rapid innovation model principles of agility, creative tension, and innovation alignement. Going on and enriching this approach leads us to a portfolio strategy of innovation: which new components are relevant, which compenents have a global reach across applications? Which opportunities are presented by blending technologies, customs and our specific operating edges? Answering all these questions isn’t obvious. A first answer can be found in the ability to find new components which directly help the acceleration of innovative applications. That makes us wonder how to cover the functional components, according to which principles expand them, but also which global system of component build. 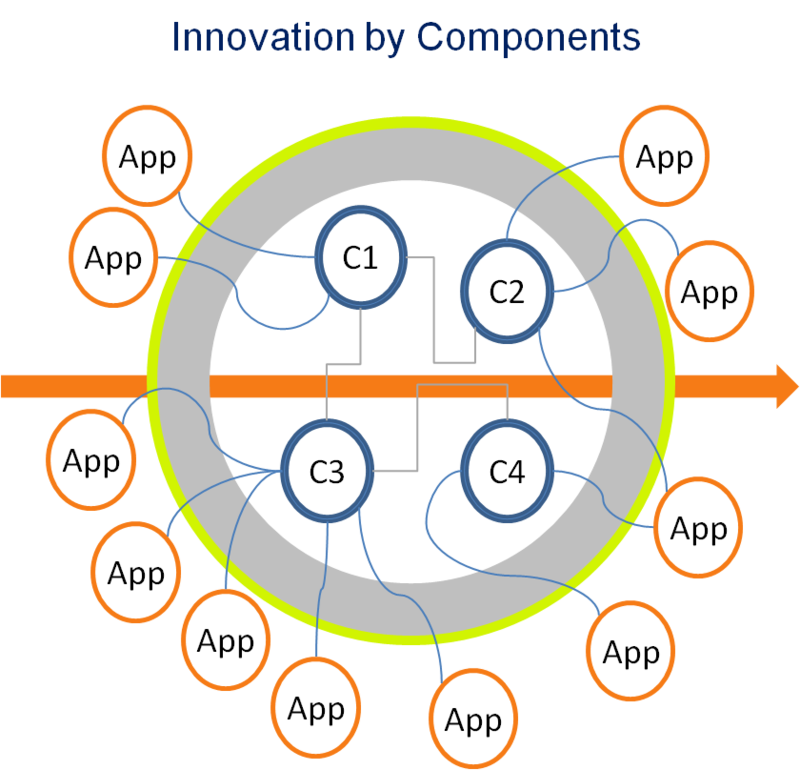 Modular conception must necessarily reflect on innovation architecture and the way components will combine. With questions that don’t yet have answers: is there a limit to modularity? A “golden number” of components?